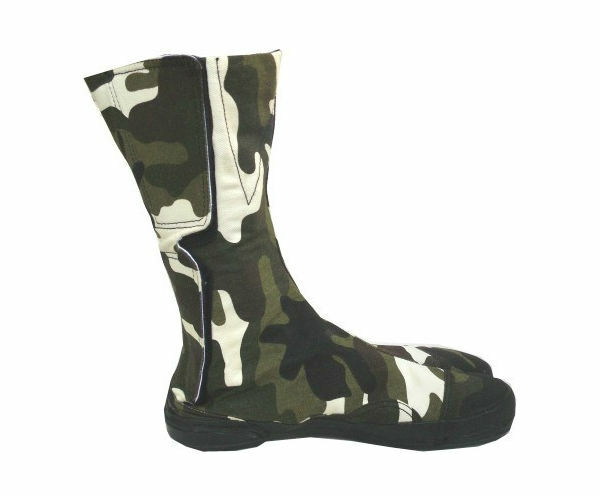 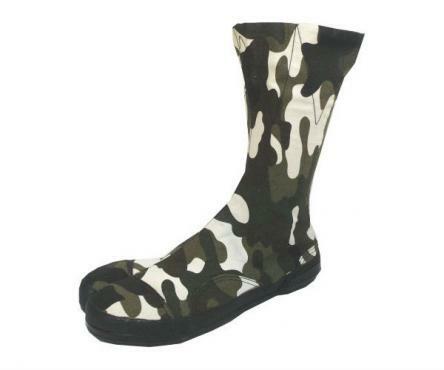 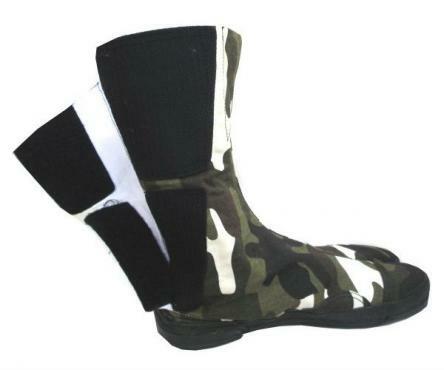 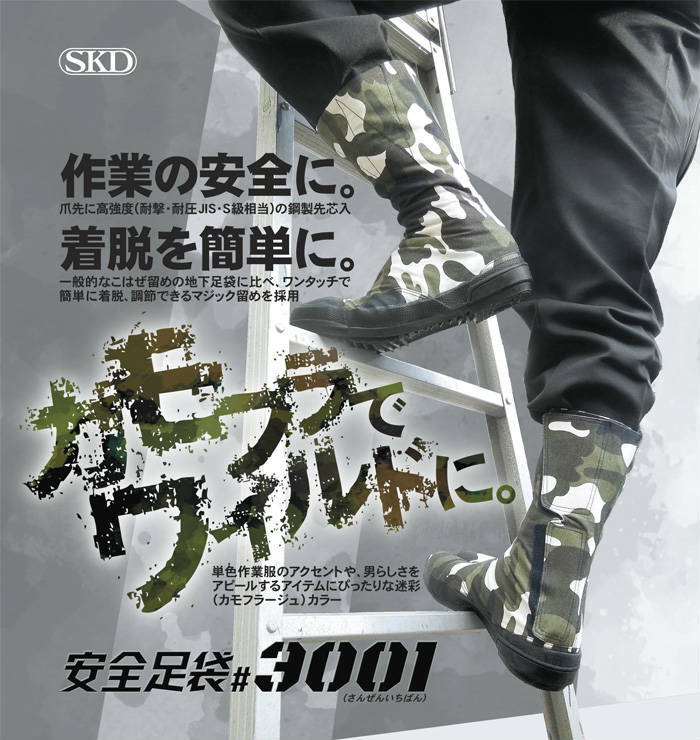 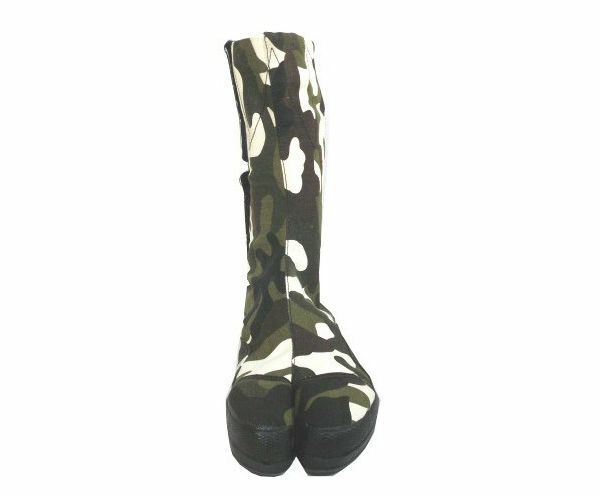 Camouflage jikatabi with added protection from JIS-standard steel toe caps. The non-spike sole makes them suitable for regular wear. 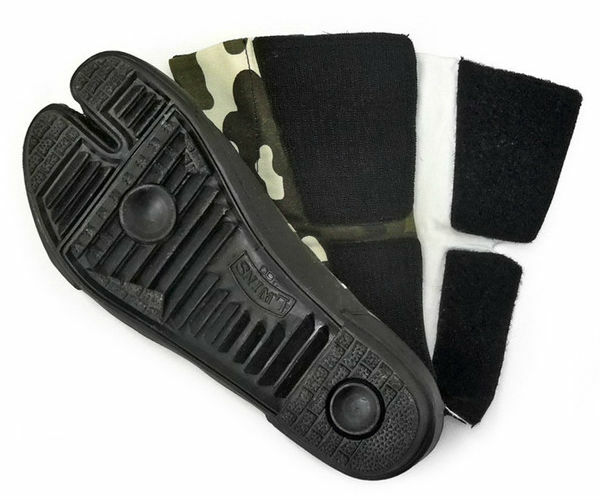 The velcro fasteners give both convenience and a perfect fit.